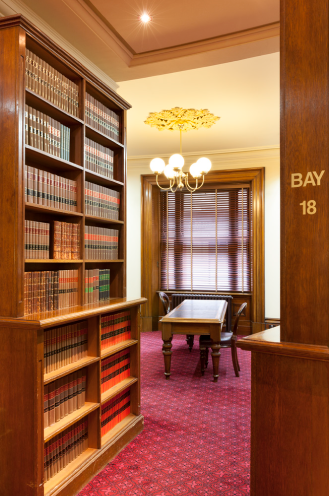 The Digital Library, with public and subscription legal resources, is maintained by the Law Library of Victoria team. Subscription content visible to registered users is dependent upon our licensing agreements with legal publishers and may change subject to such agreements. Resources are included according to their relevance to Victorian legal practitioners. We welcome suggestions for additions to these resources. Alphabetical list of resources. Registered Users please login. Access individual legal titles categorised by area of law. Registered Users please login. View legal resources according to resource type (e.g. commentaries, case citators, legal dictionaries). Registered Users please login. Access authoritative reported and unreported case law from the High Court of Australia, Victorian Court of Appeal and Supreme Court. Access the fortnightly Law Library of Victoria Bulletin. Access Articles indexed by the Law Library team from journals added to our collection over the last 90 days. Access Commonwealth and State sources of legislation.